Just have a good adventure trip and want to share something with friends and family members? This travel magazine cover provides a new way for you. As a picture speaks a thousand words, instead of adding much text, the design chooses the simple style with few words and a travel photo background. If you want to add more details, just choose from various text styles and choose the one you prefer. You can also upload your photos and make more pages for the tour. 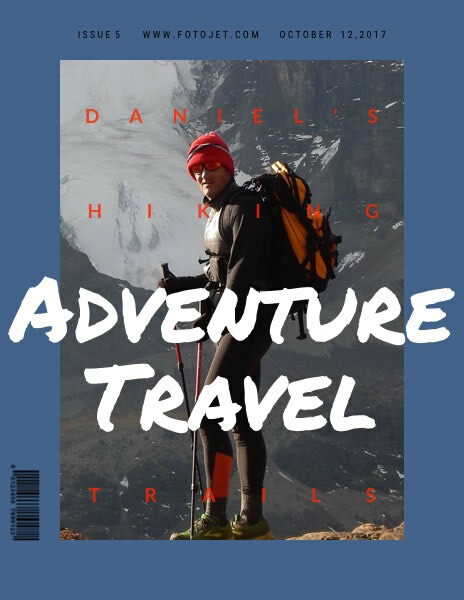 Turn your travel story into an interesting magazine now!